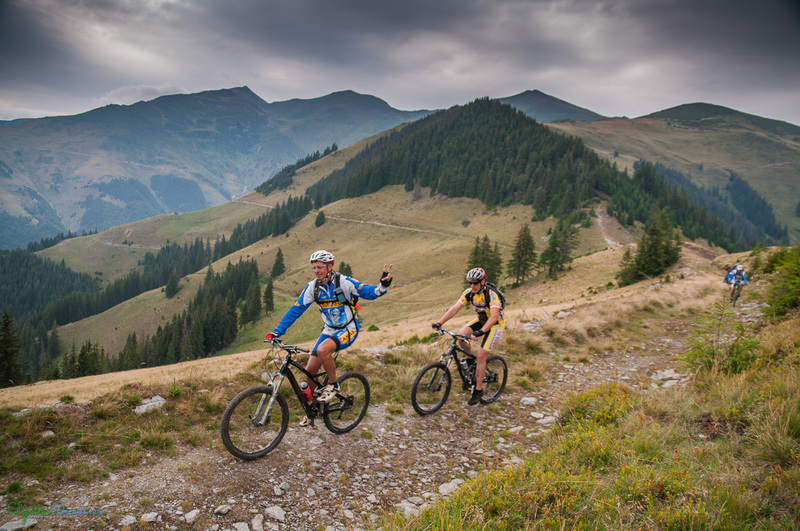 Carpathian Epic Trails is “La crème de la crème”, the best of the best trails from our playground. 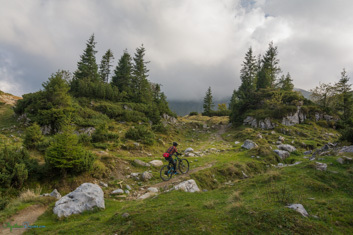 La crème de la crème, the best of the best trails from our playground. 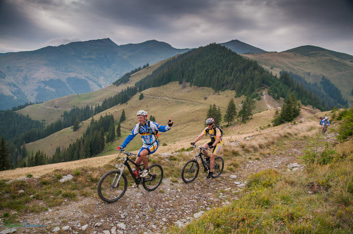 For more than 15 years we searched, rode and tested the most Carpathian Epic Trails in this area. We invite you to have a taste of our finest selected menu. 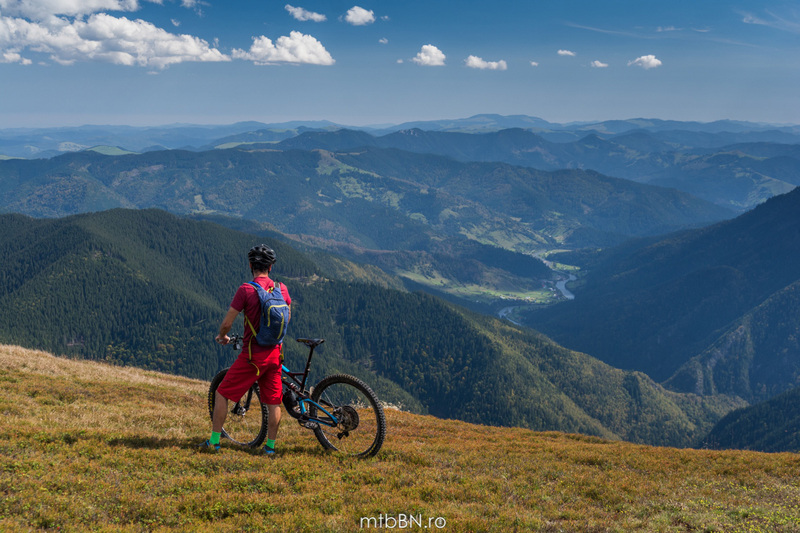 We will ride into the wild Călimani Mountains, the mysterious Borgo mountains, the impressive Rodnei Mountains and the archaic region of Bucovina. But, all this comes with a price. Due to the relative distance between the rides, we will have to do a couple of hours transfer by car from one location to another. We will do mostly round tours, starting and ending in the same place. There will be no shuttle services for the uphill sections. Our legs will do the job. 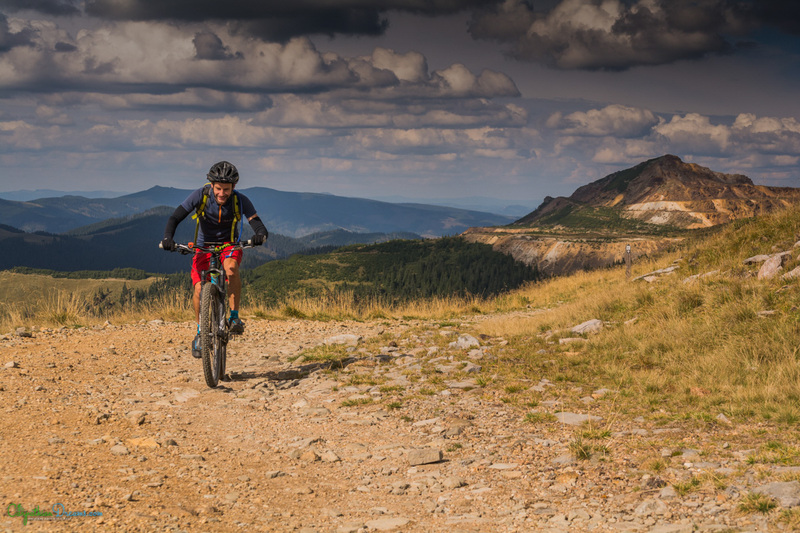 This tour is designated for experienced and trained riders, who are familiar with tough and long climbs, followed by technical descents on single trails and rock paths. If you think the climbs will be to much for you than our Carpathian Enduro tour might be the choice for you. This tour will take place in general in the same areas, but includes shuttle services for the uphills. Also, if this tour might be to challenging or you prefer to ride from one location to another then check our North Transylvania, Wild and Wellness or Training Tour and choose a trip that suits your needs. Pick up from Cluj-Napoca International Airport or your hotel. 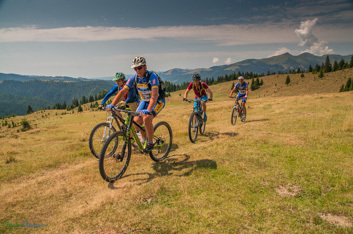 Transfer to Colibita Lake in the heart of the Carpathian Mountains. Assembling bikes, short warm up ride around the lake, detailed presentation of the tour. Transfer: 160 km, 3.5 hIncluded services: airport transfer, dinner, accommodation. 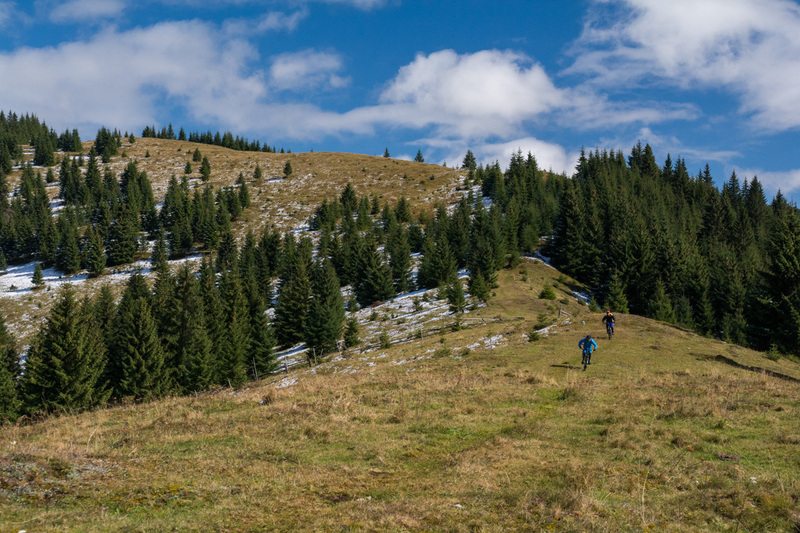 Today We will be entering deeply into the wilderness of the Călimani Mountains, known for one of the most great densities of the brown bear population in Europe and probably one of the last wild regions on this part of the continent, in its true sense. We will also pass trough some beautiful meadows, where we will experience the traditional lifestyle of the shepherds and from where we will admire the higher volcanic peaks of the Călimani Mountains. The cherry of the day will be the views over the lake and the single trail descent that follows. The reward for the intense effort at the end of the day will be the refreshing swim into the lake. Ride: 37 km +1430 m/-1430 mIncluded services: breakfast, sandwiches for lunch, dinner, guiding, accommodation. Our second day will take us back in time, in a scenery, that probably remained unchanged for hundreds of years. We will ride on a beautiful mountain plateau, passing through lost in time cottages and admiring the higher mountain peaks that surrounds us. 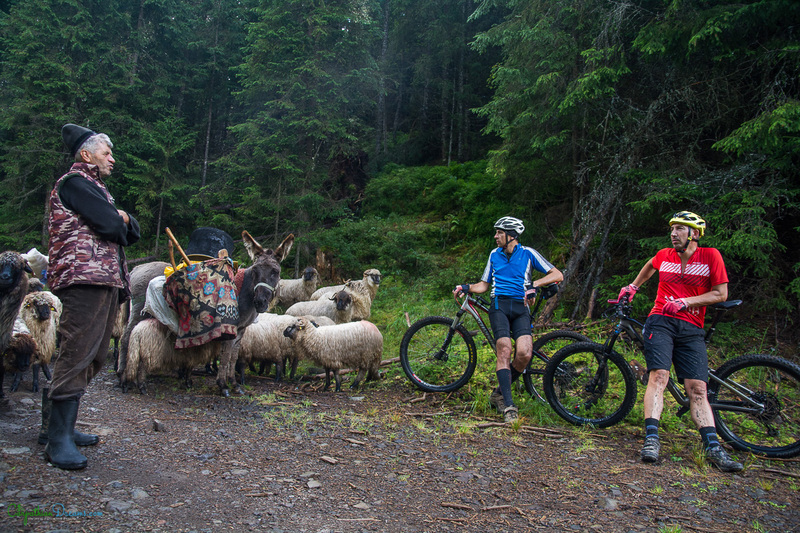 Ride: 32 km +1210 m/-1210 mIncluded services: breakfast, sandwiches for lunch, dinner, guiding, accommodation. 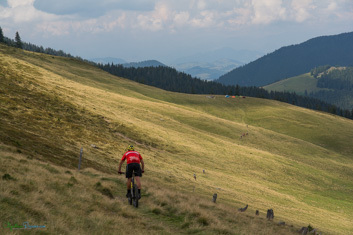 Today we will pass in the picturesque Bucovina region. 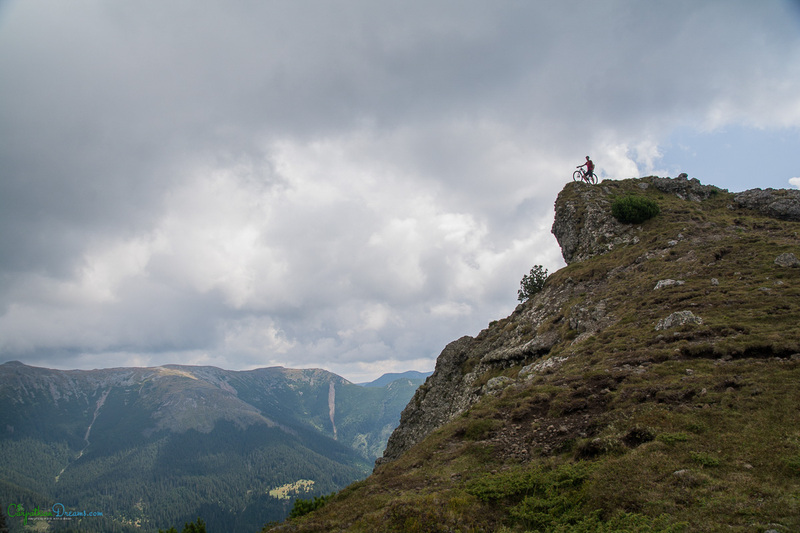 Here we will spend the next two days riding some of the most intense trails than can be done here. The reward after the intense effort will be the traditional dishes served with natural, organic, homegrown food, directly from our hosts farm. Ride: 38 km +1230 m/-1230 mIncluded services: breakfast, sandwiches for lunch, dinner, guiding, accommodation. The last day spent in this archaic place will take us deep into wild forest, undisturbed only be roaming of the powerful stags, sharing the trails with wolves and brown bears. Ride: 39 km +1380 m/-1380 mIncluded services: breakfast, sandwiches for lunch, dinner, guiding, accommodation. 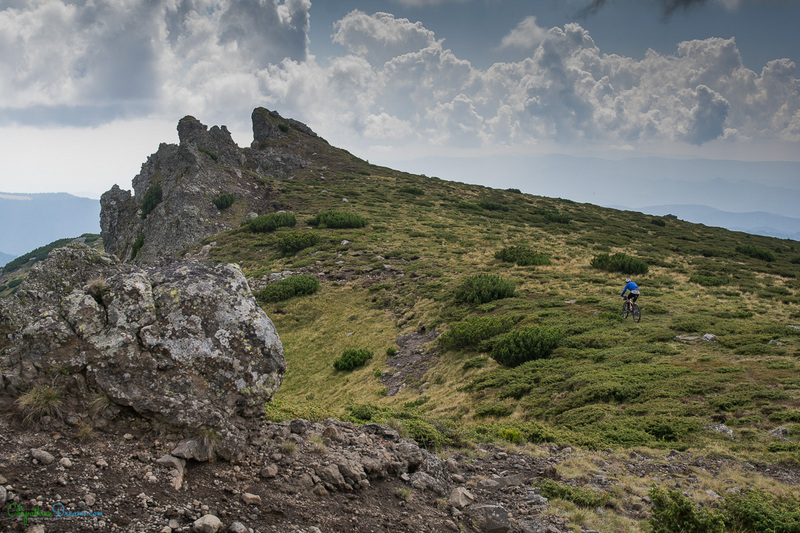 For the last day of riding we will leave Bucovina, and head towards Maramures. After 2 hours of driving deep into the Carpathians Mountains we will reach the highest mountains in the north of Romania. Rodnei Mountains, with heights over 2300 m is one of the oldest national parks n the country. 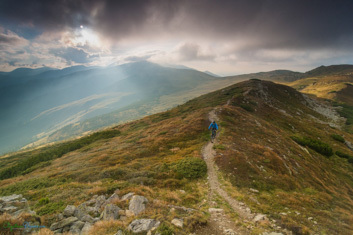 Here we will end our tour with our favorite trail. 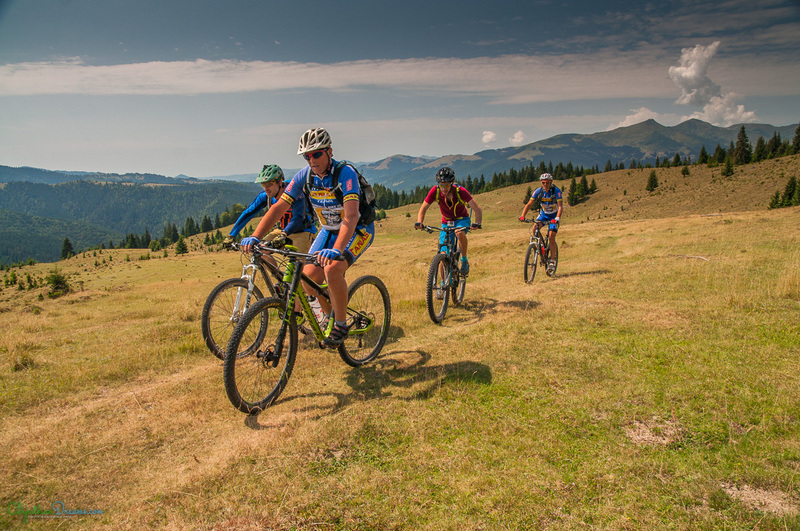 Ride: 35 km +1590 m/-1590 mIncluded services: breakfast, sandwiches for lunch, dinner, guiding, accommodation. On what dates is the trip available? Visit our calendar to see the available dates for this trip. 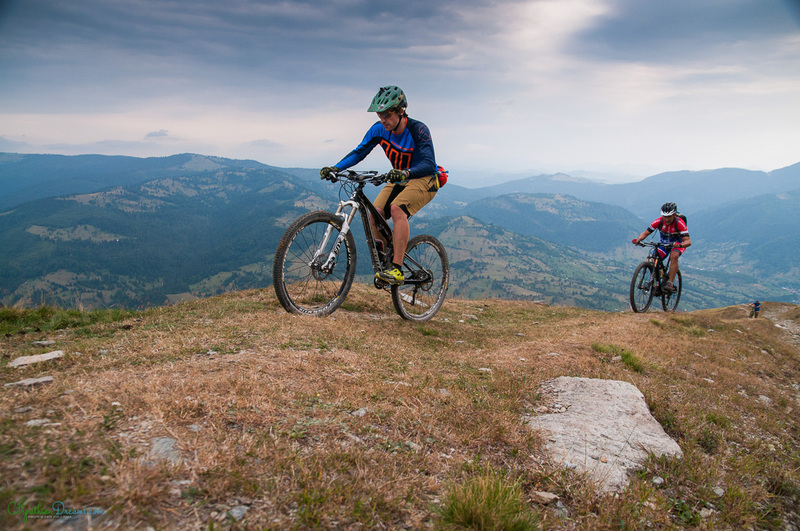 We organize adventures in small groups to ensure everyone has the best experience. 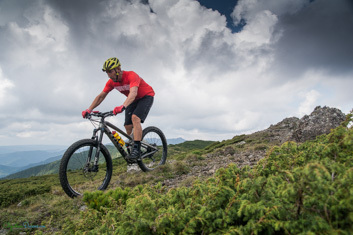 Normally there are between six and ten people in each group, with a guide/rider ratio of 1/5 . What is the age range of the people who usually come to this tour? Usually, between 30 and 55 years of age, but age is simply a state of mind, and we welcome anyone over the age of 18! Whenever you have good physical condition and good bicycle handling, you will enjoy this mountain bike tour regardless of your age. Is Romania a safe country? According to the ranking of safe around Romania ranked 31 out of 160 among the safest countries in the world, to this we must add that the city where we have flights is a medium city that is very safe, most of the trip will be visiting rural areas, which are calm and safe. In case of accident, what are the means of assistance available? Our guides are professionals with training in first aid. 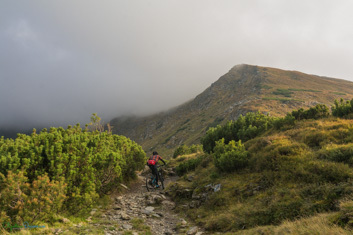 The Carpathians in general, unlike other areas of Europe such as the Alps or the Pyrenees, are areas with less infrastructure and large areas without GSM coverage, which makes it especially advisable to hire guided mountain bike tours with qualified guides. 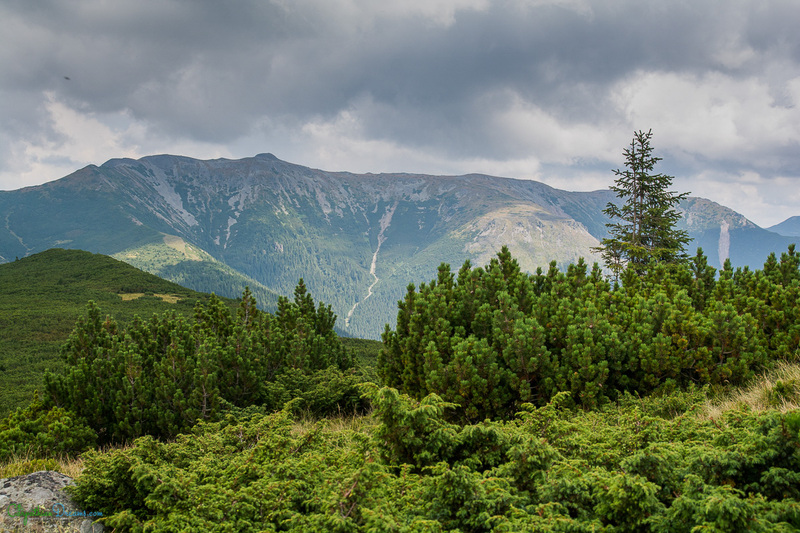 Carpathian Dreams guides, in addition to knowing the terrain perfectly, are equipped with satellite communication systems that guarantee rapid communication with the rescue teams. How is health service in Romania? Romania has a public health system spread throughout the country, the Romanian public health system has very good professionals although health facilities are of a level below the Western European standard. The private health facilities are of high quality, comparable to the best European quality standards. To participate in our trips it is compulsory to have an individual accident insurance, which covers the costs of the necessary health care in case of an accident. If you do not have insurance, we can arrange one with one of our associated insurers. In what airport do you recommend to fly? 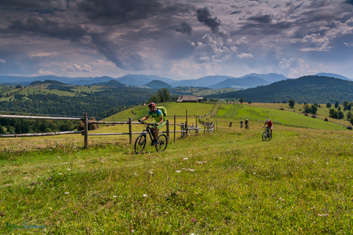 To access any part of the Carpathians it is necessary to use land transportation from the various airports. 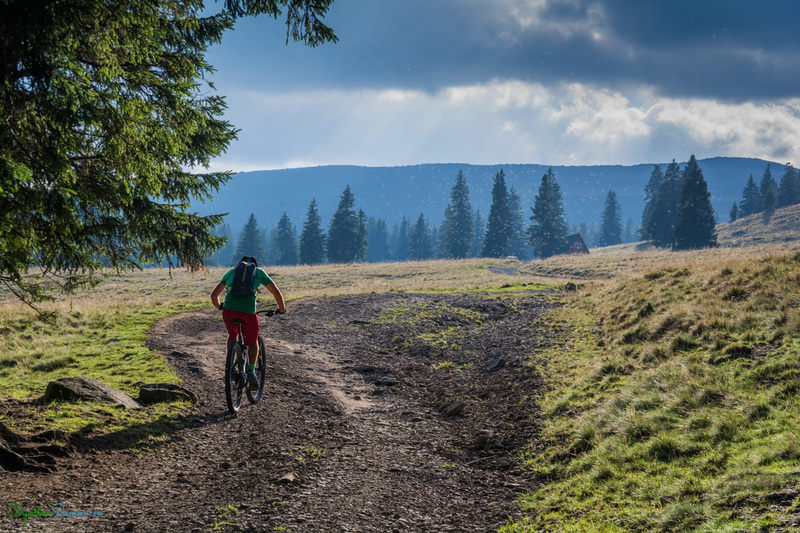 Most of our tours include transfers from Cluj-Napoca International Airport, which is the closest to our area of ​​activity. Before booking the trip we can advise you personally to choose the best flight option, depending on each particular case since some flights do not appear in all the search engines. If you have another travel plan to extend your stay in the country, we can advise you on flight reservations, activities, etc. What luggage do you recommend to take? 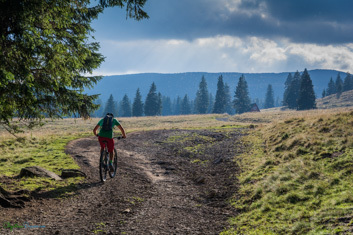 Apart from the technical equipment for riding a bike that you will find in the technical equipment section, we recommend you take the clothes you need for after the tours and for visiting Cluj. The transportation of your main luggage (suitcase) from one accommodation to another, is includes in our standard tours. We have been selecting accommodations for many years that allow us to offer a quality standard in which aspects such as traditional aesthetics, close contact with people and the possibility of consuming local products of the highest quality. As a general rule, the lodgings are usually a three-star bike friendly rural house where you can enjoy a comfortable stay after a day of cycling. What kind of food will we have on the tour? We understand our trips as a sum of experiences that allow participants to experience another culture from different points of view. Without a doubt, gastronomy is an important element to understand the culture of a country. The menus are designed so that throughout the tour you have the opportunity to taste the most typical dishes of the local cuisine. We insist in local, homegrown , organic products. If you need a special diet, inform us in the booking process and we will solve the specific needs. Tell us about the selected trip and dates and we will assign you a commercial agent who will send you an e-mail with the confirmation of availability and the instructions to make the reservation. In the confirmation email of availability we will attach all the information to pay the reservation. Please note that the approximate amount of the reservation is 30% of the total amount, which will be paid by bank transfer or PayPal to us or to the account of our associated tour operator. The outstanding amount to complete the total amount of the trip, must be paid in cash on the day of arrival or by bank transfer 2 weeks before the start of the tour. You should not book flights or other trips until we confirm that you can do it.